"We enjoyed the room and the access to the Falls nearby." 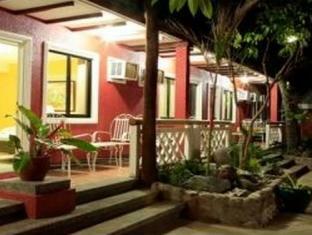 Have a question for Pagsanjan Falls Lodge and Summer Resort? "Nice view in restaurants and Nice Swimming pool." "Your staff was very friendly, and some of our rooms were ok.."
"Food in the restaurant is great and affordable." "The staff are all very friendly and helpful." For travelers who want to take in the sights and sounds of Pagsanjan, Pagsanjan Falls Lodge and Summer Resort is the perfect choice. From here, guests can enjoy easy access to all that the lively city has to offer. For sightseeing options and local attractions, one need not look far as the hotel enjoys close proximity to Pagsanjan Catholic Church, Mercury Drug Store, Insular Health Care Inc. - Christian General Hospital. At Pagsanjan Falls Lodge and Summer Resort, the excellent service and superior facilities make for an unforgettable stay. To name a few of the hotel's facilities, there are Wi-Fi in public areas, car park, room service, restaurant, tours. Step into one of 36 inviting rooms and escape the stresses of the day with a wide range of amenities such as television LCD/plasma screen, internet access – wireless, internet access – wireless (complimentary), non smoking rooms, air conditioning which can be found in some rooms. The hotel offers many unique recreational opportunities such as outdoor pool, massage, pool (kids), garden. Enjoy unparalleled services and a truly prestigious address at the Pagsanjan Falls Lodge and Summer Resort. Please be advised that extra bed/extra person charged is not inclusive of breakfast. We booked 2 Deluxe Rooms at this lodge. Parking was a nightmare since they offered day trips to their swimming pools and to the falls. The staff were all friendly and professional. The rooms are small with 2 single beds and 1 double bed with a 4-inch mattress and worn out linens. The room had a musty smell so I had to get the air-freshener from our car. Our room is only a few steps from the swimming pool. The air condition unit though was very loud and irritating. It has an old analog TV with cable channels. The toiletries given consisted only of a small bar of soap and a tissue paper. The bathroom has hot and cold shower, but the toilet bowl had no bidet. The towels are also old. Our accommodation included free breakfast which was rudimentary. They have a restaurant but the food is a bit pricey. The best part of our stay is the swimming pool which was big, water was warm, with kiddie slides and lifeguard. Because of the affordable price, I would recommend this to friends and family. Stayed in a River Terrace room for 2 nights. This "resort" is like a picnic park, super loud karaoke and boat motors, noise from road traffic, outdoors cooking, screaming of kids, you cannot escape, even inside your room with door closed. Chairs, desk and table in room are greasily dirty. It took me half hour to clean them by myself before I was able to use them. Popular place for a weekend break from the heat of Manila. The resort is getting a bit faded around the edges and the rooms are practical rather than luxurious. The dining area is utilitarian but the food is good as is the view over the river. The swimming pools follow the natural contours of the hillside and add character to the resort. If you go execting international standards you will probably be diappointed, if you want a good base for the area and visiting the falls then it will suit you well. the location was too far..when we arrived with my family and kids it was 430pm already, the receptionists was not that very accommodating dont event greet us upon arrival...the room was clean however the AC quite noisy...the only challenge was the pagsanjan tour which i taught it was free and i find it too expensive as inhouse guests... we enjoyed the pool mom and kids otherthan that all good.. The staff are all very friendly and helpful. Food in the restaurant is great and affordable. hotel offers trip to falls. Nice view in restaurants and Nice Swimming pool. Riverside lodge but hard to find location. The foods were ok but too much salty. The room n Bed was not good bc of Smell and mosquitos. It was just old loading but expensive. close to the waterfalls, nothing else! no idea who gave that hotel this high rating but it is the only one which is online bookable. For a 1night stay its ok and the rooms are clean at least but its a kind of a flashback to the early 80`s. The deluxe room that we we're able to book was a bit pricey. Bed had thin covers. Room was very clean. Everything was working. The only complimentary stuff that we got for a deluxe room were towels and soap. Room was very spacious. It was a good for 4 persons room. There's no hot water on standard rooms. That's why we ended up with the deluxe room. I like the pool its like you swimming in the beach. I love the place and the room I were so comfortable but there is no shampoo and the towel were so old. but in total, I really like staying in the hotel. I like the pool and the ambiance are so beautiful and very relaxing. The Place was difficult to get to at first because the bridge was closed, but they offer us free baot service there.. Next they were able to book the waterfall trip for us through them, but the boatmen were grumpy at the end with the tip ahahah The hotel was enjoyable even though i didn't get to try out the pool or watch much TV.. stayed indoors mostly.. I hope anyone going there enjoys this place. This hotel can be a little tricky to get to. Once entered, you will be in a downward slope and will have to go down the stairs before you reach the front desk. i arrived at night and was going to travel in the boat to Pagsajan falls but the water elevation was much higher than usual. I enjoyed the company of our waiter. Young kid and he works very hard. The front desk staff is also helpful and the food for breakfast was really delicious. The rooms had three bed so I made one giant king bed.For the price, it was well worth it also. It would be nice it they accepted CC for the boat tour but it was fine. nice quiet location in town. we did not use but saw they had a water slide and pool for children and adult use. we had free breakfast with our stay but my wife would enjoy some oatmeal every now and than but they did not have. staff are very friendly and try to please our requests. no telephone in room so cell phone a must. free wifi on site also a plus. There are bunch of Korean tourist when we arrived. I guess it is a hot spot but I am not impress with the hotel. Swimming pools are not clean, they looked old and used. Rooms are tiny and it looked like a summer camp instead of a hotel. The only good thing happened was; we enjoyed watching canoes passed by the river.